Just to get you started, recommended resources for New Zealand and Australian research, see the Auckland Libraries Digital Resources. 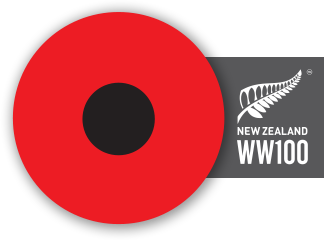 You may already have read about the launch of New Zealand's WW100 on our sister blog Heritage et AL . This entry was posted on Friday, 29 March 2013 and is filed under ANZAC Day,family histories,findmypastau,genealogy,heritage et al,sailor,soldier. You can follow any responses to this entry through the RSS 2.0. You can leave a response. Alas, not quite on topic - but a slight sideways diversion. Thank you so much for your contribution Annie! How Anzac Day affects families/people today is just as relevant. It really demonstrates how Anzac Day still resonates almost 100 years later! Thanks so much for your contribution to this year's Blog Challenge Lyn. Its a really good read! I shall be glad to take part again. Post up a little later in the month. Thank you Julie! Look forward to reading it . . . great to see you contribute again this year! Thank you so much for your contributions to the Trans Tasman Anzac Day Blog Challenge! Its mcuh appreciated. Both are a poignant read! From Ryde in Sydney, NSW - we have recently posted our Anzac family story of the Nelson brothers, who were born in NZ & enlisted in NSW. Thank you so much for your contribution to this year's Anzac Day Blog Challenge! Not an ANZAC soldier, nor even a New Zealander or Australian. Thanks so much for your contribution Jenny! Like you, I have chosen to blog about a soldier from "back home" - because I don't have an ANZAC. Thanks for participating Jenny - and good luck with future blog posts! Sure your blog will be very successful! Great blog - thanks so much for your contribution! Our first woman on our Trans Tasman Blog honour roll! Thank you for contributing again Shauna. Your blog post is fabulous as always. Traumatic things that happen in people's lives do have a tendency of defining them. hi Seonaid, Here is my contribution to the topic -not specifically one of my own, but fitting with my A to Z theme on the Northern Territory and WA. It's about Indigenous Anzacs. Thanks for giving us all the opportunity to reflect on our Anzac heritage. It is still the 25th albeit late in the evening...here is my contribution.